The modern parish of Mullinahone is a low-lying broad valley area, for the most part, two to three hundred feet above sea level in South-East Tipperary . It reaches its highest point of 1,088 feet on the legendary mountain of Slievenamon , its southern boundary. This is adjoining Grangemockler parish. Overlooking the northern boundary are the Slieveardagh hills and Ballingarry parish, while its western side is formed by some smaller hills such as Cappaghnagrane and Kilnagranagh and the parish of Drangan/Cloneen. To the east is Killamery (or Carrolls) hill together with a stretch of flat, often boggy land; its boundary with Kilkenny county and Leinster . This modern parish is twenty five square miles in area or 16,000 acres. The population in 1995 was approximately 1,426 people. In an extended form this whole area was called “An Cuimseanach” or Compsey in pre-Norman times, an ancient Gaelic word suggesting an enclosed valley area. The barony of Slieveardagh, now the electoral area, was in Anglo-Norman times known as the barony of Slieveardagh/Compsey, Compsey formed the southern half then. The name of Mullinahone appears first as a settlement in the records of the “Hearth Money Rolls” in the years 1665/'67 then spelled as Moninehoan. This was a rent or tax on houses in the post- Cromwellian period. It was entered as a village or settled area of nine ‘cabbins' with hearths, that is, permanent structures, and not very common then it appears after the wars of the time. Just across the river (Anner tributary) was the main village of Killaghy , in what is now Fethard and Killaghy streets. Both were extensions of the worker/artisan settlements of Killaghy Castle and lands whose estate walls adjoin the modern town to day. Killaghy had existed since the first lord of Killaghy or Compsey, named St Aubyn or Tobin, built his castle there in the 13th century. There is one earlier mention of Mullinahone as a place name. This is dated 1551 in the Calendar of Justiciary Rolls (State papers then), regarding Inquisitions or trials held there. This was possibly at the old 13th century Norman keep in present day Carrick St. and in Mullinahone town land. The Lord of Compsey was a James Tobin who was then (1551) Justiciar of County Tipperary. The Tobins were a Norman family. The parish as we know it at present was formed in the 18th century as the Catholic Church was re-organised when Penal laws were relaxed. From 1772 it was joined with Drangan parish, then in 1826 it was separated again. So the present boundary is only about two centuries old. Going back in time the old Gaelic entity of Compsey extended as far as Glenbower and Ahenny in Grangemockler parish and also part of Cloneen and adjoining areas. The Land of the parish is for the most part on a limestone base. This has ‘karst' features, which means that it is fissured with many caves and underground streams, subjecting some areas to flooding in times of heavy rainfall. Mullinahone was on one of the two routes or passages from Ossory to Cashel or Leinster to Munster in medieval times. Known as the Pass of Compsey in Norman times, the passage was by Callan and Modeshill and crossed the river at Mullinahone at the ford of Aghmonenahone under the old Norman keep in Carrick St . Then on the high road by Cappaghnagrane to Fethard and Cashel. A heavily wooded area then, one of the first Tobins was instructed to cut down the woods of Killaghy by royal decree to “ensure safe passage for travellers” i.e. the army and supplies. In 1317 the Scottish army of Robert and Edward the Bruce came through here with much pillage. It took a week for them to get from Callan to Cashel. Cromwell's troops attacked Killaghy Castle in 1650 and it had to be repaired at “ye States' expense” in 1654. 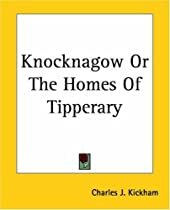 The Tobin estates were broken up then and most of the Tobin kinsmen were transplanted to Connacht . The army of William of Orange camped nearby in 1691 and an order went out to ‘burn the Compsey' as it was believed to harbour rapperees or highway men. The order was not carried out however. After this time the Penal Laws were enacted, with a long period of religious persecution. This was the time of the Mass rocks and of laws forbidding education and holding of property, positions of importance or the right of political franchise, lasting about a century. Priest hunters were used but only served to strengthen the religion. This dark period in the history of the parish was marked by an uprising in 1798 on Carraigmoclear hill on Slievenamon, ending in defeat for the local men. Later still in the 1840s the Great Famine caused many deaths in our parish, perhaps as high as 27% of the population between famine and emigration, in a decade. Locally there were attempts at physical force movements in 1848 and 1867, influenced by local writer and patriot Charles J. Kickham , Mullinahone's favourite son. Mullinahone suffered considerably during this period at the end of the 19th century from the excesses of landlordism. Thankfully tenant rights were achieved after many Government Land Acts and much suffering. The parish and people were very much involved in the War of Independence from circa 1919 to 1922. A monument in the Square of the village erected to the memory of those who lost their lives in the struggle is ample proof of this involvement. The parish has enjoyed relative prosperity for the remainder of the 20th century, a time of peace. Farming has developed and a number of businesses have started up.